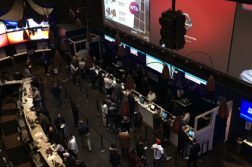 Making its debut on NJ Online Gambling, it’s time for the 2019 edition of my annual post for folks who enjoy entering the Super Bowl office “box pool” — because they know anyone can win a contest where the numbers are randomly assigned to entrants — but who feel left out of March Madness office bracket pools because they feel never watch a game all season and feel outclassed by diehard sports fan colleagues. With this primer, you can fill out a competitive bracket for your office pool even if you can’t name a single player participating in the tournament (heck, I do respectably well every year, and I don’t watch as much college basketball as you might think). If you have 50 or 100 people in your pool, obviously I can’t promise you’ll win, by any means; if I could, I would be living large in Las Vegas. Of course, these days you could just find some expert’s picks and post them to the pool as your own. But those wouldn’t be your picks. So if at least finishing ahead of some of those “sports know-it-alls” in the office with your own choices sounds more satisfying, then read on. It’s about game theory, not basketball knowledge (usually I promise that no college basketball player will even be named in the course of this entire guide, but I will make one exception this year). To start, call up a bracket online and/or print it out. Don’t panic if it looks confusing; we’re here to walk you through it. Here’s how to handle the opening main-round matchups of your brackets. First, you will notice a “1” vs. a “16” team on the upper left (Duke), middle left (Gonzaga), upper right (Virginia), and middle right (North Carolina). Same for each of the other sets of pairings. • 1 seed vs. 16 seed: This is the best-rated team in the region against the worst-rated. Just take all the 1 seeds to win that first game, since until last year no No. 1 seed had lost this game in more than 30 years. All the “experts” will do the same. • 2 vs. 15: It’s not impossible for a 15 seed to win here, by any means — but assume they won’t, and pass all the 2s forward. It’s simply a risk/reward decision, and if there is a rare upset, nearly the entire pool will lose along with you anyway. It’s too scary to knock out one of the 10 best teams in the country immediately. • 3 vs. 14: I suppose I’ll let you take one of the 14s — especially if it’s your alma mater, or you loathe the state where a 3rd seed is located because it reminds you of your ex-spouse, or whatever. But if you’re generally risk-averse, take all the 3s here, too. • 4 vs. 13: Now we’re getting somewhere. Take one 13 seed here if you’re so inclined, as upsets have been known to happen in this spot — about a 1 in 5 chance. And you’ll impress your rivals if you pick the right one. • 5 vs. 12: Historically, this a gold mine for upsets, so I’ll let you take two out of the four 12s here, if you like. But don’t take three of them; that’s very likely too aggressive. Which ones? Maybe you like schools with funny names, or who are named for geography. This year the 12s are Murray State, Oregon, New Mexico State, and Liberty. • 6 vs. 11: The playing field continues to level further, so one or two upset picks is permitted. But don’t have more than three 11s and 12s combined — and if you’re in a pool that starts Tuesday instead of Thursday, avoid picking the 11s who are in play-in games (this year it’s Belmont vs. Temple and Arizona State vs. St. John’s). 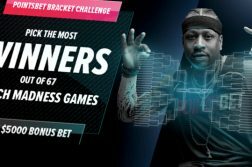 If you miss on the tossup games played by these teams on Tuesday or Wednesday and then pick one of those teams to win again in the main draw, you could be out of luck on a main-draw game even before the main 64-team tipoff. No sense in having a slightly busted bracket so soon! • 7 vs. 10: If your pool gives extra points for correctly forecasting an upset (check on that), then lean toward the 10s unless you are very fond of a particular 7 school. You’ll have a chance either way. • 8 vs. 9: True tossups, and usually only a very small bonus, if any, for picking the 9. So feel free to select by which mascot you like better (just Google it) or other silly reasons. You should mostly have these matchups below as you notice the field in your brackets pull toward the center. If you don’t, eliminate all but perhaps one of the 11 through 14 seeds that you took in the earlier round. That keeps you from losing too much ground if your first-round hunches didn’t pay off. • 1 vs. 8 or 9: Practically a 90% chance historically that the top seed wins this game as well — and if they don’t, well, almost everyone else missed it, too. So pick the No. 1s again. • 2 vs. 7 or 10: Safest bet is to stick with the 2s, although one of the four may lose. A complication is that even if you guess right on which 2 seed gets shocked here, you may have the wrong 7 or 10 team playing them and still not get credit. • 3 vs. 6 or 11: Now you can start taking more chances — pick a pair of 6s, if so inclined, if they are schools you are fond of. • 4 or 13 vs. 5 or 12: Not only is this a tossup if you have 4 vs. 5, but you can’t even be sure either one gets this far against the potentially dangerous 12 and 13 seeds in the previous rounds. So pretty much just pick the better remaining seed on your second-round card — but you can take one 12 or 13 seed to advance again if you like to gamble (or if you like the university itself). It’s tough for anybody to get the right single 12 or 13 seed advancing, but if you do, it will impress your office pool rivals. By following these recommendations, you are liable to find yourself in the top half of your office pool entering the Sweet 16 — and the second weekend — as many others fall out of contention with too many predicted two-game winners who don’t even get out of the first round. • 1 vs. 4: The 1 seeds sometimes don’t get to the Final 4, but they are still tough outs at this level. Be very hesitant to eliminate more than one of them here. • 2 vs. 3: Pretty much a tossup, so you can revert to the “favorite mascot” approach again. *Counter argument: This was the clear advice a decade ago. But in the last six years, at least one team seeded 7-11 has miraculously advanced to the Final Four every year. That’s seven out of the last 24 Final Four slots going to a “Cinderella,” which is amazing. • 1 vs 2: Feel free to pick several No. 2s — wait, probably not all of them. You can advance a 3 or a 4 seed here, too, if you have one. But don’t go any deeper into the upset landscape than that (despite the “counter argument” above), partly because hardly anyone else will, either. There’s no guarantee there is another Cinderella this year, and most of the teams with those seeds were gone long before this. Then again, if you’re a “go big or go home” type, there’s your angle. Now you have a Final Four as we look toward the third weekend’s contests. It should have at least one — but not all four — of the No. 1 seeds (only once in the last 20+ years have all four 1 seeds reached the Final Four, and, well, it’s boring). You might even want to go with a 1, a 2, a 3, and a 4. Or a 1 and three 2s. Or three 1s and a 2. It all depends on how much you like the schools, states, or nicknames. Now we get to one of the most important parts: picking a winner. Some years, there effectively are two segments of your office pool: those who pick the heavy favorite to win it all, and those who don’t. This is one of those years. And that heavy favorite is Duke. I warned you I would name a player this year, and it’s Duke’s Zion Williamson. If you like the sound of that name and the fact that there is a weird sneaker story about him, the idea of a blueblood program from the state of North Carolina now recruiting players who are just passing through for one year before collecting millions in the NBA, or choosing a champion that has millions of enemies, Duke is your team. Pro tip: Your chances of winning your pool improve somewhat if you decline to pick the nearest school geographically that is a top seed. For sentimental reasons, that team will be over-picked compared to their likelihood of actually winning. Thus a West Coast team (hello, Gonzaga!) is a decent gamble for East Coasters with this mindset (by the numbers, anyway), while 2 seeds such as Michigan State or Tennessee might be a good play for West Coasters. If you don’t like the storyline of No. 1 seed Duke, strongly consider a different No. 1 seed as champ. Top seeds have won 21 of the 34 titles in the 64/68-team bracket era. This overall method maximizes your chances of at least getting to the second weekend with a fighting chance of winning the pool, and maybe beyond. Plenty of your office mates will have ripped up their sheets already (well, at least the old ones who still make printouts). Unfortunately, it’s devilishly difficult even for professional gamblers to finish in the top 10% of a bracket pool (should I mention that your office pool may technically be illegal? ), which is why they prefer to bet individual games. There usually are so many last-second baskets in so many games in the tournament that you have to be lucky to have the winner in most of those (not that the pool winner ever thinks luck had anything to do with it). With so many entries in most pools, nobody’s odds are good, frankly. 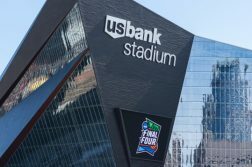 But as much as your sports-fanatic work pals won’t want to admit it, you can eliminate a large part of their supposed advantage — and in many cases all of it — just by going by the numbers. Good luck with your picks — and they are your picks — and hit me up @BergenBrennan or at [email protected] if you like the idea (and especially if you do well! ).